Once people actually got inside, Anime Expo was of course one hell of a cosplay show. 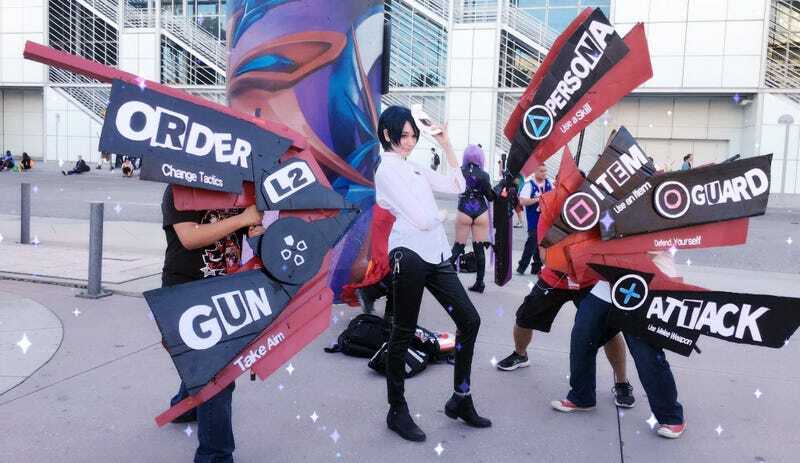 Here’s one early, personal highlight: a crew dressed up as Persona 5's battle menu. That’s nonokiri as Yusuke (in his winter uniform), while behind the signs are thatsketchasaurus and arktoons. Fun fact: they were actually kicked off the showroom floor for the costume, but hung around outside so people could get their pictures taken.